Today is sketchy thursday on the Scraptastic blog so I have a fun example to share with you. 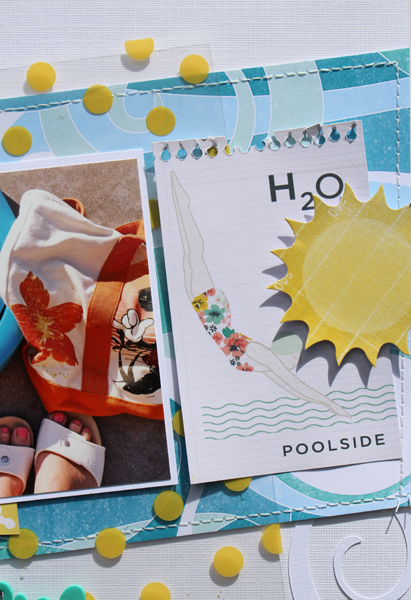 For my example layout I used the Summertime Rolls kit, Add on kit, and Digital Print and Cut files. and I used the negative space of the cut file swirls on this page after using the actual swirled design on one of my other layouts. 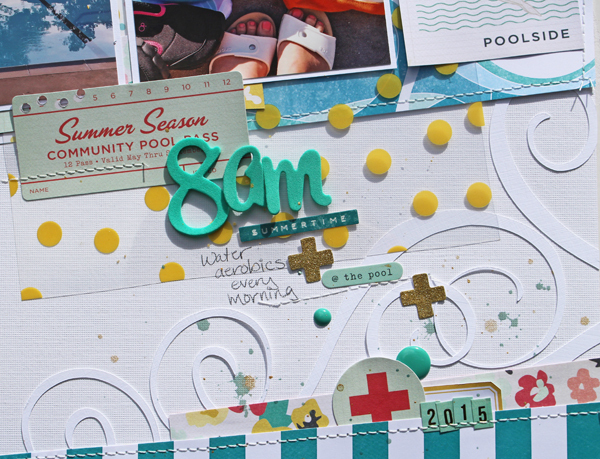 CLICK HERE to jump to the Scraptastic Blog so that you can get the sketch and play along, but also so you can see the incredible layouts that the Design Team have created. here is a little close up because this kit is just so awesome. I punched holes across the top of the poolside die cut so that it would look like a spiral tear. This is awesome! Great sketch with so many wonderful interpretations!